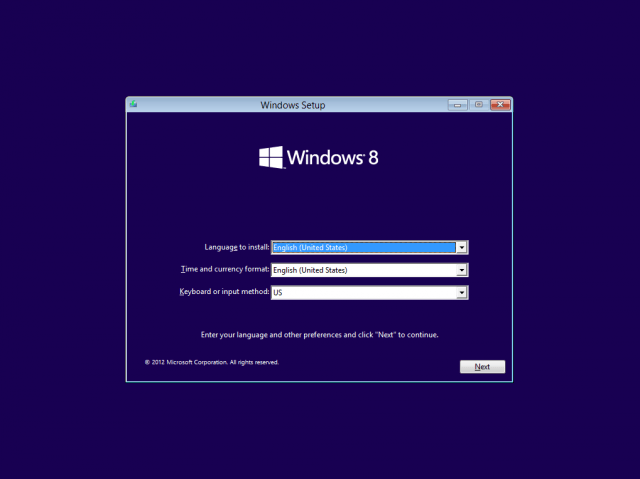 Installing a clean copy of Windows 8 on a new, crapware-infested PC is even easier than it was in Windows 7. We may have a new version of Windows, but one story is still the same: buying a new Windows 8 PC means that you’re also buying a bunch of OEM-installed software that you didn’t ask for. This software ranges from the innocuous (Office 2010 demos) to the unnecessary (paid anti-virus trials, despite Windows 8’s baked-in antivirus scanner) to the actively useless (WildTangent games and unending superfluous system tray icons). Much of this software can simply be uninstalled with no harm done, but if something goes wrong with your PC and you need to reinstall Windows, all of that crapware will usually come right back with it. For years now, most OEMs have neglected to include a “vanilla” Windows install disk with their computers, opting rather to include some sort of “restore partition” with all of the crapware baked in—this makes it difficult to perform a truly “clean” install of the operating system. On some computers, like the Lenovo IdeaPad Yoga, these recovery materials dramatically reduce the amount of drive space accessible by the user. To help out those of you who are planning to buy new PCs—or got them from Santa Claus—but don’t want to deal with all of this junk, we’re going to update our original Windows 7 bloatware removal guide for Microsoft’s latest operating system. Parts of the following will be transplanted from that article where appropriate, but while the reasons for performing a clean Windows install are the same, the actual process is often surprisingly different.